Day to day life in a small village in rural India: safe drinking water and good hygiene practices are rarely pressing concerns. When the only way of accessing safe drinking water involves a grueling trek through hilly terrain, and open-defecation is age-old practice, it is natural for such communities to feel hostile towards any attempted behavioral change. It is within such a context that Gram Vikas initiated its water and sanitation project in the village of Kundiguda. 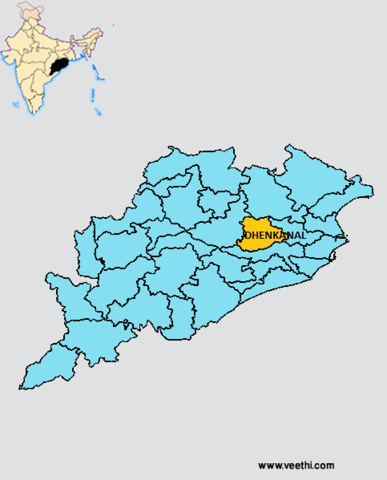 Kundiguda village is situated in the Bhuban block of Dhenkanal district in the Indian state of Orissa. It is composed of 103 households, 70 of which fall within the category of SC (Scheduled Caste), whilst the remaining 33 belong to General category. Of all these households, 64 are of BPL (Below Poverty Line) status. The socio-economic conditions in this village are poor. Most families live in thatched houses, and 47 households are landless. The primary occupation of the villagers is agriculture, followed by wage labour. The remote location of the community accounts for the near absence of any government-run development activity, with the exception of Indira Awas Yojana scheme. It is thus a village isolated from access to mainstream development. Access to water has previously been a constant source of worry for the people of Kundiguda. The village was dependent on a nearby pond and open well for all their water needs. During the summer months, these would dry up, leading to acute scarcity of water. For women to fetch even a single pot of drinking water, they would have to walk 1-1.5km in scorching sun across hilly terrain to access a stream. Poor health also plagued the lives of the community. Sanitation standards were low as a result of the practice of open-defecation. Water-borne infections such as malaria, diarrhea, worms and scabies were common. Women also suffered from gynecological problems as a result of bathing in dirty water. Not only this, the need to protect their dignity meant they could only relieve themselves in the nearby forest at dawn or during the night. Fear of sexual assault, or of being bitten by an animal, was a source of constant anxiety. Gram Vikas has identified lack of access to safe drinking water and poor sanitation facilities as being a root cause of morbidity and mortality amongst poor people. It thus uses water and sanitation as an entry point from which to pursue more holistic development objectives through its flagship programme MANTRA (Movement and Action Network for the Transformation of Rural Areas). Kundiguda was inspired to collaborate with Gram Vikas following the implementation of MANTRA in the nearby village of Bauman. This village faced similar challenges relating to acute scarcity of water and health problems due to lack of a clean water supply. Following Gram Vikas’ intervention in Bauman, such difficulties have been alleviated; the community has clean drinking water at the turn of a tap, incidences of water-borne disease are tremendously low and the village surroundings are clean and tidy with not a single case of open-defecation. Upon witnessing such dramatic changes nearby, the population of Kundiguda was strongly motivated to implement the same project in their own village. They gathered at Bauman village and expressed their miserable living conditions to the MANTRA project coordinator, requesting him to make a visit to Kundiguda with a view of implementing the programme. The project coordinator explained the norms and conditions of the programme – namely that of 100% commitment to the project from every member of the community – to which the village agreed. A decision was taken to implement the project at the earliest occasion. Sustaining the commitment of the villagers after their initial excitement was no easy task. Many challenges were faced. Sharing the cost of the project, given the poor socio-economic conditions of the village, was an exceptional challenge for the community. Work was delayed due to the cost of materials needed to construct the facilities. A lack of man power due to paddy harvesting also caused significant delays in the digging of the main pipeline. Faced with these multiple challenges, people easily became disillusioned with the seemingly Herculean task which lay ahead. It was Mr Sanatan Behera, a youth from Kundiguda village, who played a key role in maintaining unity within the community. He motivated people by making door to door visits, uniting the youth, and encouraging the women to make their voices heard. He asked people to recall the immense difficulties they faced during the summer months, as well as their constant anxieties about poor health. He was the driving force in the formation of a village committee to oversee the project, and helped the poorer members of the village to secure help from the community fund. As a result of his hard work and dedication, the villagers actively participated in the collection of a corpus fund to continue the implementation of the project. Gram Vikas began work in Kundiguda in late 2010, overseen by Gram Vikas staff and the Village Executive Committee. Despite the challenges faced, the role of key individuals, such as Mr Sanatan Behera, in maintaining the community’s enthusiasm has ensured the durability of the project. As of December 2012, the construction of the water tank has been completed (sourced using a bore well). Unfortunately, the digging of the main pipeline has suffered from delays. In a recent meeting called to address the causes behind this, it was decided that the community fund would assist the poorer families to complete their facilities. The lack of available manpower, as well as the situation of Kundiguda in a laterite area, also led to the decision to hire an excavator machine to dig the main pipeline. This is currently in progress. Once this has been completed, work will begin on the infrastructure needed to pipe water to each individual household. The prospect of access to safe drinking water, complete sanitation and a community no longer plagued by poor health is no longer a distant dream but firmly fixed on the horizons of the villagers. Kundiguda village is thus an example of how unity can be maintained in the face of adversity, and how through mass participation and cooperation, incredible changes can be affected which help to transform the destiny of communities in rural India.